Intimidator on the Farm | Intimidator Inc. Farming. From before the crack of dawn to long past nightfall, farmers toil in the hot sun to bring food to our tables. Farmers are the lifeblood of America. Intimidator is proud to be able to make their lives a bit easier with our hard working UTVs. It's not just about getting around the farm easier, which of course is a bonus, it's about having options to make the work easier without breaking the bank. Need to haul feed, seed, fertilizer, or equipment? Intimidator Truck Series features an aluminum bed with drop sides to accommodate irregular shaped or large items that wouldn't fit in your typical UTV bed. Built in toolboxes mean you'll always have what you need, and with the XD4 package, you even have the convenience of an electric dump bed. 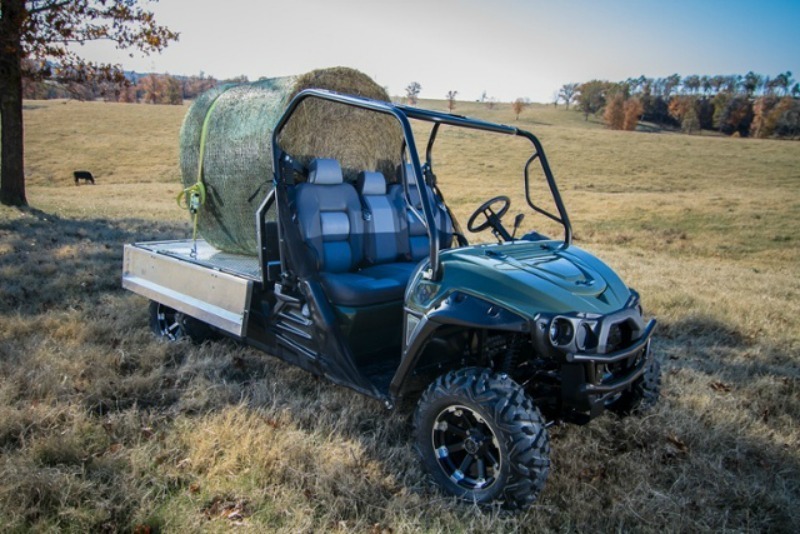 Intimidator UTVs also have a plethora of accessories available for you to customize your machine for your specific needs. From large items such as full enclosures to protect you from the elements and snowplows to clear your path to smaller ones like light bars and mirrors, we've got your needs covered. Check out what's available for your model at Bad Dawg Accessories. Is plowing, landscaping, or making a firebreak on your list of to-dos? Check out the Ground Hog Max. 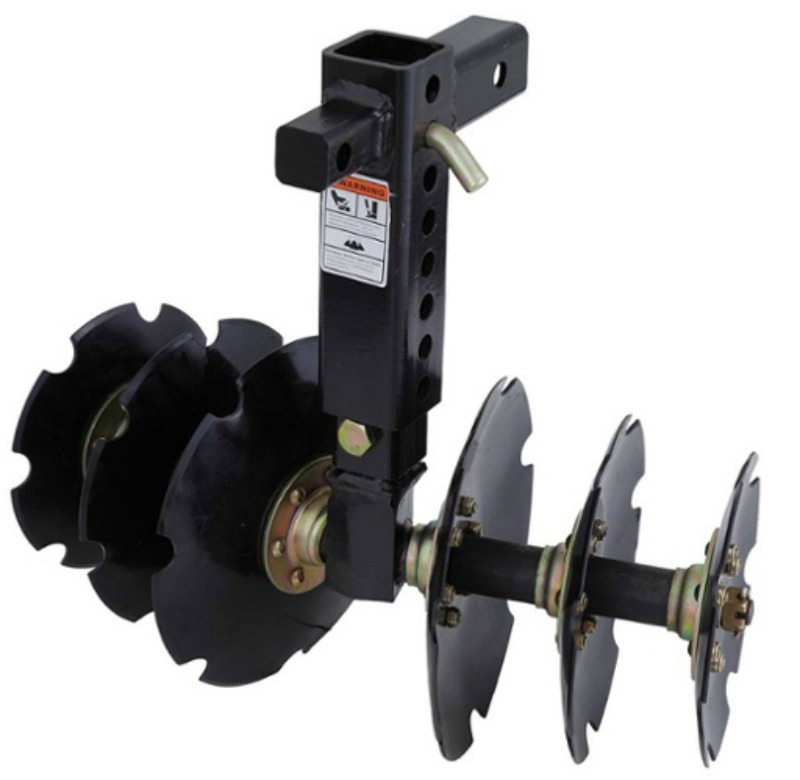 This attachment makes quick work of the aforementioned chores along with others such as weed control, creating or maintaining dirt tracks, grooming horse arenas, and more. If you need to till the ground, the GroundHog Max will do it. In many cases, it can even replace a tractor, especially for smaller jobs. Whether you farm just for your family or for a living, we would like to say, “Thank you.” Thank you for sacrificing your time, your sleep, and your sweat. Thank you for raising and caring for animals, for your love of the land, and for tending crops. Thank you for all that you do. You are greatly appreciated. If you don't yet own one and are interested in purchasing an Intimidator, use our convenient Dealer Locator to find a dealer near you. You can also check out our website at IntimidatorUTV.com for more information or to customize your own Intimidator Classic, Crew, or Truck Series.